Ploesti was Hitler’s oil supply, so it had to burn. In August 1943, 179 American bombers set out to do the job. A third of them would never return. The plan sounded simple enough on paper: have a swarm of B-24 bombers fly low over Ploesti, Romania, and blast away the Nazi-controlled oil refineries there. To the men who would be inside those B-24s, however, the plan sounded like a script for a one-sided bloodbath—with them on the wrong side. Resistance to the plan surfaced up and down the chain of command. In North Africa, 98th Bomb Group commander Lieutenant Colonel John R. "Killer" Kane—who would have to lead his men on the deadly mission if the orders came down—declared the idea the product of "some idiot armchair warrior in Washington." 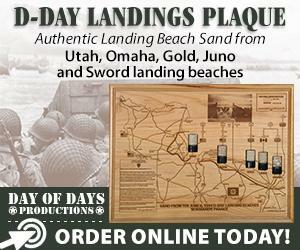 Not surprisingly, orders arrived and the mission was set for August 1, 1943. If it worked, many Allied leaders believed, it would deprive Germany of fuel essential to its war machinery. They hoped it would shorten the war by at least six months. The US brass had a point. Even Adolf Hitler realized he needed a reliable source of oil, and he had known it from the start, even before he began his blitzkrieg to grab chunks of Europe. The type of mechanized warfare he envisioned demanded it. The trouble for Hitler’s regime was that, during the1930s, less than one percent of the world’s total petroleum output came from Germany. Accordingly, the Germans immediately initiated a crash program to produce synthetic fuel from lignite coal, a soft, brown, low-grade coal plentiful in Germany. They also built up stores of imported oil. Still, Germany needed more fuel. Europe’s largest oil production and refining complex was at Ploesti (ploy-ESHT), approximately 35 miles north of Bucharest. Ploesti was also among the first sites in the world to commercially exploit oil, having put its first refinery into operation in 1856. Since being carved out of the Ottoman Empire in 1861, Romania had tried various styles of government with only marginal success and even flirted with fascism during the 1930s. Despite its oil wealth, it was a political, military, and economic basket case at the outbreak of World War II. When France fell in 1940, Romania lost its one powerful ally and was beset by demands for territory from all sides. Hitler recognized an opportunity when he saw one and stepped in to broker a deal by which Romania would give up much of its land to appease its aggressive neighbors. In return, Germany offered protection and various economic incentives. Included in the deal was oil for the Nazis. By the late summer of 1941, Romania was allied with Hitler, German troops were based on Romanian soil, and Ploesti was set to become Germany’s largest single source of oil. It all happened without a shot being fired. Petroleum from Ploesti soon provided a third or more of Germany’s requirements. This fact was not lost on the Allies. In fact, British Prime Minister Winston Churchill declared that the Romanian refineries were the "taproot of German might." A commitment to the destruction of Ploesti was one of the many decisions made when Churchill and President Franklin D. Roosevelt met at the Casablanca conference in Morocco in January 1943. The planning for Ploesti’s demise began almost at once. The thousand-plane American air armadas that would spend 1944 smashing Germany into rubble didn’t exist in 1943. An air force with less than a half-million airmen prior to the Japanese attack on Pearl Harbor had grown to nearly two and a half million. Yet, less than a fifth of these men were overseas. Likewise, the Army Air Forces had just more than 12,000 aircraft when the United States entered the war. By the time planning for the Ploesti strike got underway, American industry was producing more than half that many aircraft every month. But most of those machines were based back home and only just beginning to be moved to the major theaters of war. For the raid on Ploesti, Allied planners would be able to scrape together less than 200 heavy bombers. General Henry "Hap" Arnold, commander of the US Army Air Forces, put one of his brightest staff officers, Colonel Jacob E. Smart, in charge of developing the plan to destroy Ploesti. At that time, American doctrine for strategic bombers mandated high-altitude, daylight, formation raids with great numbers of heavily armed planes carrying large payloads that could be delivered with precision. Smart and his planners knew from the outset that there weren’t enough aircraft to achieve the desired results using those tactics. As advanced as the latest bombing systems were–including the vaunted Norden bombsight, with its gyroscopic stability–they weren’t accurate enough to ensure the destruction of the refineries from a high altitude with so few aircraft. Smart decided to try a radical approach: heavy bombers would attack Ploesti from a low altitude. His premise was that the greater bombing accuracy inherent in a low-altitude attack would allow the selective destruction of key components such as cracking towers, steam plants, and critical pipeline junctures. He hoped that this sort of selective targeting would have nearly the same effect as obliterating the entire refinery complex. Ultimately, his plan called for the destruction of 41 key elements of 7 different refineries. That low-altitude bombing would be more accurate was a simple fact of common sense and physics. Just as hitting a target with a pistol at a range of 5 feet is easier than hitting it from 50, bombing a target from 200 feet is less difficult than bombing it from 20,000. On the other hand, a low-altitude attack against a heavily defended target like Ploesti was very dangerous. Muscling a heavy bomber just above the ground while staying in flying formation was difficult and perilous enough. But worse, a bomber flown so low put a huge, easy-to-hit target within range of nearly any weapon the enemy could field, and around Ploesti, the Germans and Romanians had placed nearly 300 heavy antiaircraft guns. Augmenting those guns were much greater numbers of lighter weapons. And then there were fighter planes. Despite the controversy that had erupted over the plan in Allied command circles, preparations for the low-altitude bombing of Ploesti proceeded apace. The participating planes that weren’t already on location were brought onto the dusty airfields around Benghazi, Libya–the closest American base to Romania. 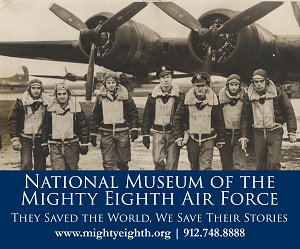 In late June 1943, the 44th, 93rd, and 389th bomb groups were flown down from their bases in England, on temporary loan from the US Eighth Air Force. John Kane’s 98th and the 376th, part of the Ninth Air Force, were already in place. American code-naming convention originally designated the mission with the unimpressive tag Soapsuds. There were objections, including a protest from Churchill, who believed the name was inappropriate for such an important effort. In the end, the mission was given the more dynamic code name Tidalwave, and the attack was set for Sunday, August 1, 1943. In mid-July the five bomb groups stood down from combat operations to ready themselves for the raid. Mock refinery complexes representing those at Ploesti were built in the desert south of Benghazi, and the aircrews flew repeated missions against them. Particular emphasis was placed on precise timing and low-altitude formation flying. To achieve maximum success, the plan required as many aircraft to hit the refineries in as short a time as possible. When the aircrews weren’t airborne, they studied photographs, sketches, and a scale model of the complexes. Preparations even included a motion picture of mock attacks against the model from various approaches. Aside from the low-altitude attack it required, perhaps Tidalwave’s most challenging feature was the extreme distance involved. The round trip measured more than 2,000 miles and took the airmen from Libya, over the Mediterranean, across Greece and parts of Albania and Yugoslavia, and then over Bulgaria and into Romania-and back. It would be the longest bombing raid to that point in history. The Americans possessed only one type of bomber capable of completing the mission–and then, only if it was fitted with special long-range fuel tanks. The four-engine B-24, despite its ungainly appearance, was one of the most advanced aircraft of its time and was capable of carrying its bombs a greater distance than any other aircraft of its day. Normally crewed by 10 men, it was a heavily armed and complex aircraft that was demanding to fly and maintain. Most important, it was an extremely capable aircraft. It was the plane that would forever be associated with Ploesti. The day before the attack, the mission’s leadership changed dramatically. Initially, Major General Lewis H. Brereton, the commander of the Ninth Air Force, was to lead the raid along with Smart. Arnold, however, ordered both of them out, because if they were shot down and captured, their familiarity with Allied operations and programs–in Smart’s case including the atomic bomb program-would be too valuable to the enemy. Command of the attack fell to Brigadier General Uzal G. Ent, the commander of IX Bomber Command. Ent would direct the effort from the plane of Colonel Keith Compton, the leader of the 376th. Because Ent was a balloon pilot, not a bomber pilot, Compton bore much if not most of the responsibility for leading the mission. Through the night and early morning before the attack, mechanics and armorers worked furiously to prepare the aircraft. In tents and operations areas, the aircrews quietly reviewed their assignments and tried to get as much sleep as they could. Following orders, most of them prepared letters for loved ones in case they did not return. Most men slept fitfully and were tired when the early wakeup call came. Even the special breakfast of real eggs flown in from Ninth Air Force Headquarters failed to lift the mood; it seemed ominously like a last meal on death row. On the bright side, the mechanics had worked miracles through the night. The mission plan called for 154 aircraft, and the wrench turners exceeded that by more than 20. When the meal was finished, final briefings were given and the aircrews were taken to their bombers. Soon after daylight, the launch began. Although the bombing mission was bigger than anything the Americans had ever staged, takeoff went relatively smoothly. An exception claimed the Kickapoo. The overloaded aircraft lost an engine after takeoff. The crew struggled to wrestle the plane back for a landing, but the big bomber struck a concrete light pole and crumpled into the ground and burned. All but two crewmen were killed. Despite the Kickapoo disaster, the aircraft of the five bomb groups–more than 170 B-24s–fell into line behind Compton’s bomber, Teggie Ann, and winged their way north across the Mediterranean. For unknown reasons, a second aircraft, Wongo Wongo, spiraled out of formation and fell into the water. A third plane, Desert Lilly, followed to investigate and was unable to rejoin the main group. Before the force even reached Greece, three aircraft had been lost. North of the Greek island of Corfu, Compton turned the formation inland. As the flight progressed, a break in the formation occurred, and a separation began to grow between the second and third groups–the 93rd and Kane’s 98th, respectively. While the 93rd stayed with Compton’s 376th, Kane’s 98th fell farther and farther behind and, worse, trapped the 44th and 389th to his rear. Cohesiveness–critical to the mission’s success–was eroding. Compton and Kane had disagreed on the optimum air speed to be used for the raid. Compton argued for a higher velocity, while Kane, who had been operating in the North African dust for months, didn’t want to push the aircraft so hard. He feared that the sheer duration of the mission would destroy engines that were already war-weary. The strong-willed Kane probably refused to use the power necessary to keep up with Compton. Also hindering any efforts to fly as an organized unit was the wall of clouds that shrouded the Pindus mountain range in Greece that morning, severely limiting visibility. Regardless of what transpired and why, it was Kane’s responsibility to maintain formation. He failed to do so. By the time Compton crossed the mountains that marked the border between Bulgaria and Romania, Kane’s 98th, as well as the 44th and 389th, were at least 20 minutes behind. After making a couple of snaking turns in an unsuccessful attempt to allow the trailing groups to catch up, Compton pressed across the Danube and dropped the 376th and the 93rd down to just a couple hundred feet above the Romanian countryside. Although they should have known better, many on the American side thought the strike would go undetected and that the enemy would be surprised. Instead, the formation was discovered almost from the time it took off. Radar stations from Sicily all the way into Greece and Bulgaria tracked the B-24s. Ground observers added reports, and Bulgarian B-534 biplanes spotted and tried to engage the Americans but were left behind before they could get into position. By the time the bombers crossed into Romania, the defenses around Ploesti were coming to full alert. One of the primary difficulties with low-altitude flight was precise navigation. So close to the ground, it was difficult for aircrews to distinguish one geographic feature from another. Hills and rivers, road intersections and towns all looked much alike. The failure to make the proper distinctions was about to cost the Americans. As the time approached for the final turn of the run to the refinery complexes, Compton and his crew, with Ent aboard, turned the 376th and the 93rd too early. They were headed for Bucharest, not Ploesti. By now, the enemy was manning its guns. Fighters were airborne, too; German Me-109s and Romanian IAR-80s circled high over Ploesti looking for the American bombers. It appeared that the many hours the American aircrews had spent in seemingly pointless drills over the previous several weeks had not been so pointless. Compton realized his navigational mistake too late Ahead of him he could see the city of Bucharest and a screen of barrage balloons (tethered hydrogen balloons substantial enough to destroy planes that collided with them). On his left, to the north, was Ploesti. There was no way he was going to be able to position his group to hit its assigned target, the Romana Americana refinery complex. With Ent’s approval he swung the group toward the eastern edge of Ploesti and cleared his individual crews to bomb targets of opportunity. Compton’s 376th would suffer the least number of casualties that day, but it would also cause the least amount of damage. Behind Compton, Lieutenant Colonel Addison E. Baker, the commander of the 93rd Bomb Group, had already turned north with part of the 376th. He headed straight for Ploesti, intent on hitting something, if not his group’s specifically assigned targets. By this time, bursts of antiaircraft fire had begun to dot the sky. Baker and his copilot, Major John Jerstad, settled their ship on course for the Columbia Acquilla refinery, a target originally assigned to the 44th. The antiaircraft fire intensified and seemed to come from everywhere: barns, woods, roads, houses, even haystacks. Baker’s ship, Hell’s Wench, hit and severed a balloon cable and shortly after that took a direct hit in the nose. The ship began to burn and Baker jettisoned his bombs knowing he wouldn’t be able to stay at the lead of his group if he kept them. All through the formation, aircraft were being hit and set afire. Men tumbled out of burning aircraft, most hitting the ground before their parachutes opened. Others slumped where they were shot and then were shot again and again. Still the bombers pressed on and gave back as good as they got. Half-inch slugs from their .50-caliber machine guns tore into enemy gunners, literally ripping them to pieces. Approaching the refinery, the machine-gun fire ripped apart vulnerable piping, valve junctions, and tanks, starting many fires in the process. Approaching the refinery, Baker and Jerstad set up to wind their way among the refinery’s tall cracking towers at an improbably low altitude. What was left of the 93rd and the few 376th bombers followed them. After taking another heavy antiaircraft shell, Baker realized his ship was finished and started a climb to give his crew a chance to bailout. But the aircraft would hold together no longer. Several of his men tumbled out of the big bomber to their deaths as it shed a wing and crashed into a building. On the ground, the enemy gunners were as terrified as the American aircrews. Ion Popa, a Romanian gunner, blanched in the face of the B-24 machine-gun fire even as his own weapon pumped round after round into the big ships flying just over his head. The bombers seemed like great living beasts whose skins were being ripped by the Romanian shells. Almost as startling to Popa were the swirls of red Libyan dust that drifted downward as the aircraft opened their bomb bays. Kane’s 98th arrived over Ploesti just as the previous two bomb groups were leaving. To his credit, Kane had turned at the correct point and had made up some time while the lead groups flailed south of Ploesti. Still, what was supposed to be a great simultaneous strike was now strung out. As Kane pointed the 98th southeast toward Ploesti, Colonel Leon W. Johnson brought the 44th abreast of Kane’s group on the right. Parallel to their route raced a German flak train that had been alerted to the raid early and now had a full head of steam. The train was literally chasing the two bomber formations, its gunners knocking down bomber after bomber while weathering a hail of .50-caliber fire. Finally the locomotive’s boiler blew up and the train ground to a halt. On either side of it blazed pyres that had once been B-24s. Kane took his ship, Hail Columbia, toward his assigned target, the Astra Romana refinery complex. The 376th or 93rd had already hit the target, but Kane decided to press his attack anyway. At an altitude of only 100 feet or so, the 98th flew into the burning hell and dumped its bombs. Many of the planes that had survived the fire from the flak train were blown out of the sky by exploding machinery or by delayed-action bombs from earlier hits. Johnson’s 44th suffered much the same fate as it attacked the already burning Columbia Acquilla refinery. It took the enemy fighters some time to locate the American bombers, because they were searching at the normal, higher altitude. Once they discovered the big bombers down low, they attacked with fury. The B-24s swatted down two German Me-109s in the first exchange, but things went downhill from there. Lieutenants Henry Lasco and Joseph Kill were piloting a ship from Johnson’s 44th that had already been hit by ground fire. Climbing clear of the target with two crewmen dead, three wounded, and two engines out, it was set upon by several Me109s. 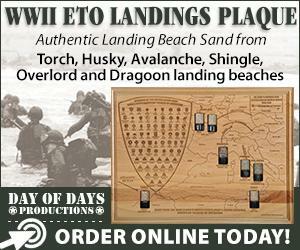 A waist gunner took a round that nearly severed his leg, and Lasco’s face was shot nearly off. The ship went down in a cornfield and both of Kill’s legs were broken. Romanian peasants beat the surviving crewmen until military officials arrived on the scene. Colonel Jack W. Wood was leading the 389th, the last group in the formation. Like Compton, Wood had turned too early, but he corrected the error and led his flight north of Ploesti to his assigned target, the Steaua Romana refinery at Campina. The defenses there were also fierce. First, Lieutenant Lloyd Hughes’s ship was hit in a fuel tank and began streaming sheets of fire. In the middle of the formation, Hughes opted to press his attack. After dropping his bombs, he banked the torch that his aircraft had become toward a dry riverbed. Tragically, a wing tip caught an obstruction just prior to touchdown and the aircraft cartwheeled in a ball of flames. Miraculously, two men survived. And so went the fight. By the time that the last American bomber was headed home, Ploesti was in flames. An estimated 40 percent of the refinery infrastructure had been hit. The danger to the B-24 crews had not yet passed, however. Fighters over Bulgaria and Greece blasted many of the surviving planes out of the sky. Others crashed en route. Some diverted to Turkey low on fuel or with critical casualties aboard. Their crews were detained. Still others, Kane included, landed short of Benghazi on Cyprus. Despite the losses on the return trip, the majority of the crews made it back to Benghazi. Few bombers were unscathed, though, and the last aircraft landed well after nightfall with two engines out on the same wing and no brakes. Of the 179 aircraft that took off that morning, 54 never made it home. Of those that did, many were never put into service again. The families of 310 American airmen who participated in the Ploesti raid never saw their sons, fathers, or brothers again. Nearly 200 more flyers were captured or detained. Many more were injured. 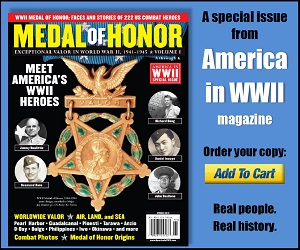 In a clear testament to the ferocity of the fight, five Medals of Honor were awarded to participants–Kane, Baker, Johnson, Jerstad, and Hughes–more than for any other air action in history. For what it was worth, the Germans and Romanians were awed at the skill and courage the Americans had displayed. They were further impressed by what they believed was a carefully choreographed attack, not realizing that the B-24 crews had been doing their best to salvage a botched plan. The heroic efforts were not enough to disable the Ploesti refineries for long. Within weeks, they were producing more oil than ever. What happened? First, the damage was not as great as it could have been because the mission wasn’t executed as planned. That was largely due to Compton’s wrong turn, though Kane shared much of the blame for not maintaining the formation. Had he done so, Compton would not have made the snaking turns as he crossed into Romania in a bid to find and collect Kane’s 98th and the other two bomb groups. Those unplanned turns likely contributed to Compton’s faulty navigation. Also, had Kane been with Compton as expected, the enemy defenses would not have been as well-prepared as they were. What about Smart’s low altitude scheme? It was bloody, but it did create a great deal of destruction. Lieutenant Colonel James Posey, leading a portion of the 44th, produced evidence of what could have been accomplished had the plan remained intact. Posey’s formation struck the Creditul refinery south of Ploesti exactly according to its assignment. The complex was so badly damaged that it remained out of service for the remainder of the war. Perhaps the blame for what wasn’t accomplished belongs mostly to Allied leaders. They misunderstood the resources and energy that the Germans would apply to get the ruined refineries back into service. In hindsight, this seems absurd. Hitler couldn’t fight the war without oil, and it should have been obvious that he would do whatever he needed to do to get the refineries running again. The Allied leaders’ second major mistake was not to commit the resources required to mount subsequent raids on Ploesti. Follow-up attacks could have capitalized on earlier damage and hindered repairs and production. A real campaign against Ploesti was not mounted until the following year. It required 24 high-altitude missions and cost many lives. In the end, the second campaign succeeded in pummeling the refineries to dust. It is the first raid, however, that is better remembered–as the bloodiest and most gruesomely fought bomber raid in history. Jay Stout, an F/A-18 combat veteran, wrote the book Fortress Ploesti: The Campaign to Destroy Hitler’s Oil (Casemate, 2003). 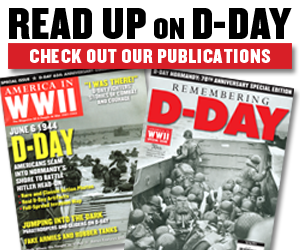 This article originally appeared in the October 2005 issue of American in WWII. Order a copy of this issue now. Top pair of photos: B-24 Liberators fly over Nazi oil refineries at Ploesti, Romania, on August 1, 1943. Middle photo: Men of Lieutenant Colonel John "Killer" Kane’s 98th Bomb Group listen to a pre-mission talk in a Quonset hut on the base at Benghazi, Libya. Bottom photo: First Lieutenant John E. McAttee puts on a flak jacket before the daunting Ploesti bombing mission.